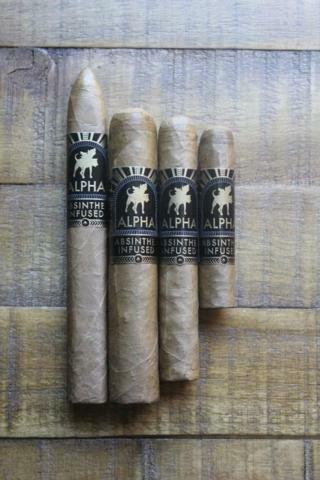 The Alpha Cigar Co. Absinthe Infused Connecticut is our debut blend. 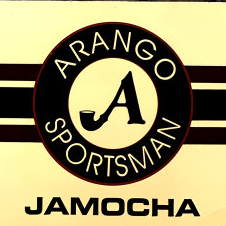 Displaying the classic creaminess of a properly grown and aged connecticut wrapper, the cigar is balanced with notes of hay, and a light spiciness, with traces of pine and citrus rind. Cuban seed Piloto Cubano leaves make up the filler of these mild-to-medium bodied cigars, with the native Olor Dominicano leaf making up the binder. Upholding cuban traditions, the cigars are rolled in pairs, and bunched in the cuban entubado style for optimal draw. Prior to rolling, a single leaf in each cigar is lightly infused with a premium French Absinthe. The 15 different herbs used in the production of this Absinthe lend diverse botanical subtleties to the cigar, especially on the retrohale. Rated 90 in a blind review by Cigar and Spirits magazine.